What comes to mind when you hear the name Jon Stewart? Richard Branson? Malcolm Gladwell? Grammar Girl? All of these people have a specific personal brand, a way others think of them, a way to market themselves to the world. Those of us who want to be leaders in our career or industry — whether you’re an employee or a business owner — need to take time to consider and cultivate a personal brand. How do you want others to perceive you? What makes you stand out? What do you want to be known for? Why should people listen to you or hire you? Before you think this sounds too cynical — marketing myself? — please know that your personal brand must be authentic. You can’t promote yourself as caring and helpful if you’re actually controversial and provocative. That will likely turn off people more than if you just owned up to being controversial and provocative. Think Mark Cuban. Authenticity, ownership and follow-through are key. As an entrepreneur and small business owner, I have been contemplating this for the last year or so as I consider why people refer business to me and why people hire me. What am I doing that stands out, that makes me a good hire? What is my reputation? I need to articulate these aspects of my personality and skill set and use them to promote myself to others. For example, I’m known to be a grammar nerd, as well as someone who loves to educate association members through my writing. I need to keep that in mind, promoting these skills and passions when I am networking, when I’m interacting on Twitter, when I’m considering which potential clients to call on. Your personality traits are obvious aspects of your personal brand, as well. People hire people they like and respond to on a human level. I’m originally from Indiana, and I typically love working with other Midwesterners. Some of my favorite partners and clients are from the Midwest. We get each other’s sense of humor, we share an easygoing attitude, we enjoy helping each other. We just click. And that makes working together fun and productive. Take some time to objectively evaluate yourself and make a list of what traits and talents you want to cultivate and promote. Or ask a trusted friend or colleague how they would describe you (yes, I purposely used the “singular they” there). Begin to use those words and ideas as you build your brand and your career. 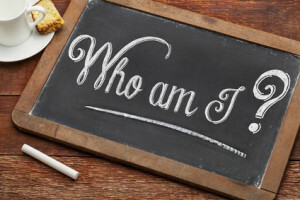 Do you have a personal brand? Whose personal brand do you admire? Please share in the comments below.